Ava is the true embodiment of the American Dream. She was born and raised in Armenia, a country where the hierarchy of men and women still stands strong. At the age of 18 she started getting involved in International Student Exchange programs, traveling overseas – learning about other cultures and gathering the necessary knowledge and skills for her future life decisions. Noticing the opportunities for growth overseas inspired her to make a better life for herself and other women. Ava has a passion for helping women feel empowered and live a wholehearted life. Throughout her career she worked in many International Non-profit organizations around the world (USAID, Catholic Relief Services, Youth For Achievements, Sister Cities International to name a few) and helped empower many women and youth, by conducting leadership trainings, building communities and changing hierarchy patterns in rural areas, where youth did not feel their word counted and women did not think their opinion mattered. Ava graduated with honors in Armenia and moved on to obtaining her second Master’s Degree in Intercultural Communications from the American University in Washington, D.C. This helped her gain the necessary knowledge and skills to conduct business with people and companies of various cultural backgrounds with much confidence and success. After moving to Las Vegas in 2007 she started her Banking career where she received multiple awards and recognitions for her leadership and achievements. 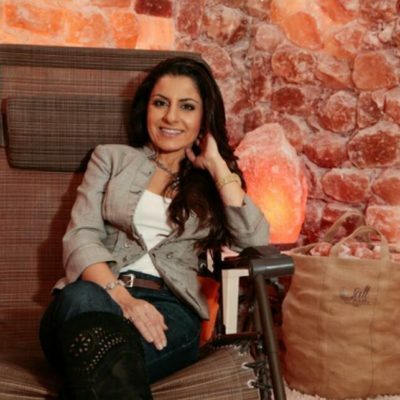 After retiring from the Banking industry as the VP of Business Banking in 2014, she founded The Salt Room, which allowed her to continue staying true to her passion, helping people stay healthy and connect with their mind, body and spirit. Ava is a huge advocate of self-care and wholehearted living. She has a dream that one day all women will unlock their full potential, live fearlessly and change the world.